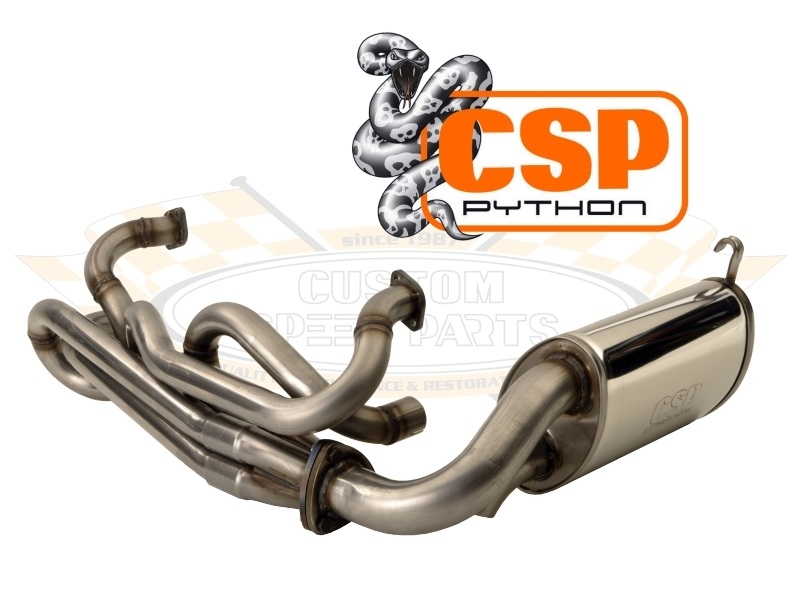 With this stainless steel exhaust system CSP Products are setting off along new paths. Our objective was an ultimate road exhaust system for large capacity, high performance engines that still allowed the use of heat exchangers. 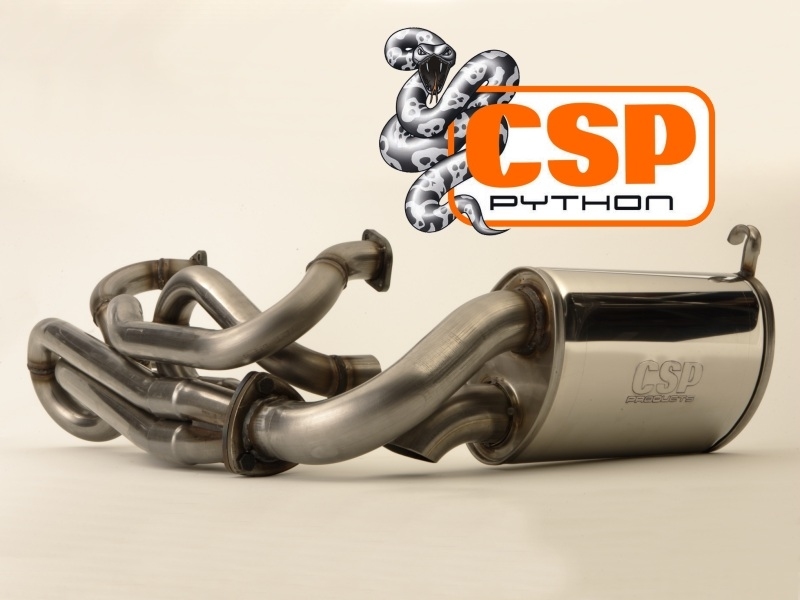 Our new PYTHON exhaust system fulfils these requirements. 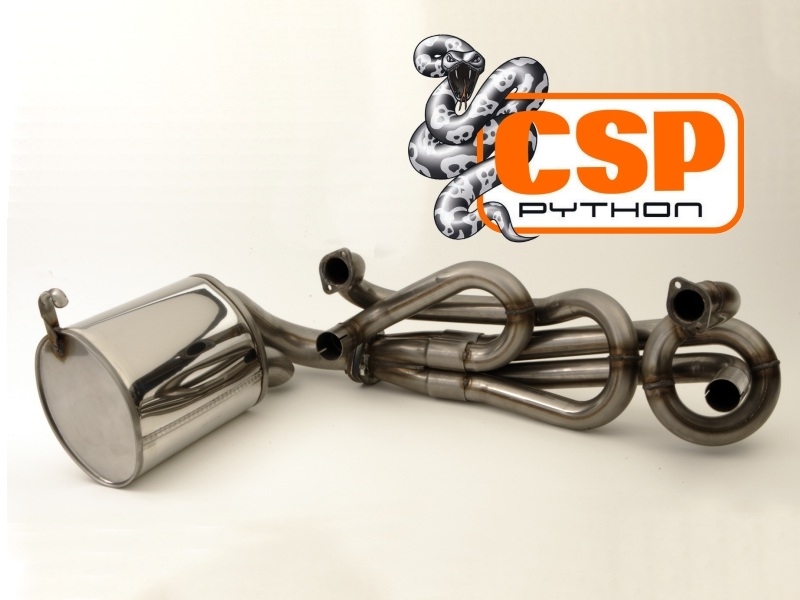 It features perfectly matched pipe lengths and convergence of the four exhaust pipes, arranged in order of ignition, into the large, painstakingly manufactured collector. 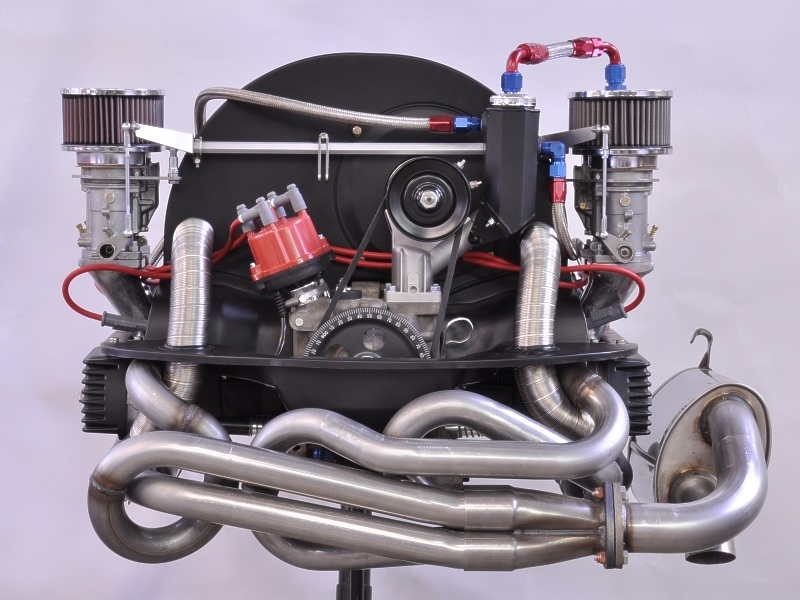 Internally the collector forms a pyramidal shape for optimum flow patterns and maximum gas velocity, which improve the torque curve all the way up to peak horsepower and beyond. The stainless steel absorption silencer, specially manufactured for CSP Products, provides the system with a dull, thudding, sporting sound, and an unobstructed path for the exhaust gases into the atmosphere.